FH+H is pleased to announce that Partner Jennifer S. Huber was included in the recently published Law360 Female Powerbrokers list and was interviewed in a Q&A format. Text of the interview can be found below. 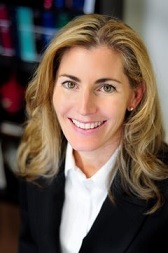 Jennifer S. Huber is a founding partner of Fluet Huber & Hoang PLLC. She is an international trade and business transactions attorney and has particular experience negotiating and closing complex international transactions involving numerous parties, complex regulatory requirements, corporate formation overseas, and the interplay of foreign and domestic law in emerging economies. Huber routinely counsels corporate clients in all aspects of cross-border transactions, including export control, anti-bribery and corruption, international joint ventures negotiation, structuring, and documentation, and establishment of foreign subsidiaries. Her practice also includes counseling in international compliance support and the review of transactions requiring approval by the Committee of Foreign Investment in the United States. She has specific expertise in the defense, intelligence, and security industries, and holds an active TS-SCI security clearance. A: To be honest, I grew up with an older brother and was raised by a single father — who was a U.S. Marine. I learned early the unique and positive power of combining practicality with feminine intuition. It can completely change the dynamic in a room. A: Interestingly, I do not find there to be any substantive professional challenges of being a woman, despite operating in an extremely male-dominated environment (defense, intelligence and security overseas). My biggest challenges have to do with balancing a demanding career with being a loving wife and mother. A: I was recently overseas leading negotiations for a half-billion-dollar transaction in a country that is historically male-dominated. As is often the case, I was the only woman in the room. It sounds like a cliche, but one of the gentlemen at the table turned to me and asked me to get him coffee. I said, “Of course.” I went to the corner coffee bar, gathered a carafe, and walked around the entire table offering coffee and speaking to each person. When I was subsequently introduced as the lead attorney, several of the attendees at the table looked very embarrassed. We started negotiations with the distinct advantage that comes with being underestimated by your counterparty … and I had had the opportunity to personally meet everyone at the table. A: I have two pieces of advice for aspiring female attorneys. The first is important, but not specific to women: There is no such thing as a draft. When a partner or client asks for a “draft,” what they really want is the best possible product given time (and other) limitations. The second is also important, and very specific to women: Embrace the differences in genders. Men and women often (but not always, of course) approach problems very differently. Look for opportunities to capitalize off of those different approaches. I’ll be blunt here — in a professional environment, most men find it very difficult to be offensive or disrespectful to a woman. My experience is that this is true worldwide. Business deals and litigation are often high-stakes and fast-paced, with a “winner” versus “loser” aspect that triggers ego-based reactions and decisions. As a woman, you are often uniquely positioned to redirect negotiations or testimony in a way that allows the alphas in the room to stand down. This creates room for resolution and justice — which is, after all, what most of us sought when we decided to go into law. A: The same advice I would give to aspiring female lawyers: Embrace the differences in the genders. The practice of law is an art, not a science. Creativity is critical to success. Reward lawyers (of either gender) for creativity of all kinds, including client counsel, billing structures, work and scheduling plans, marketing, etc. A collaborative work environment will naturally draw in women. A: I’m going to make fun of myself for a minute. For years, I admired Sandra Day O’Connor for many things, including an original quote that went something like, “As a woman, you can have it all. You just can’t have it all at the same time.” I lived by that thought, giving myself comfort while I was at the preschool bake sale (postponing client calls) or on an overseas flight (missing my children) — all the while believing that someday, I just might STILL be able to be a Supreme Court Justice. At some point I became aware that this may not have been an original SDO quote. Whether (or not) Sandra Day O’Connor spoke these words, she certainly embodied them. She graduated from Stanford Law School in 1952. Over 40 law firms refused to interview her. She eventually got a job after offering to work for free. She loved her husband, took care of him through illness, and raised three kids. And then she became the first woman Supreme Court Justice. I admire her not just as an attorney, but also as a woman, wife and mother.